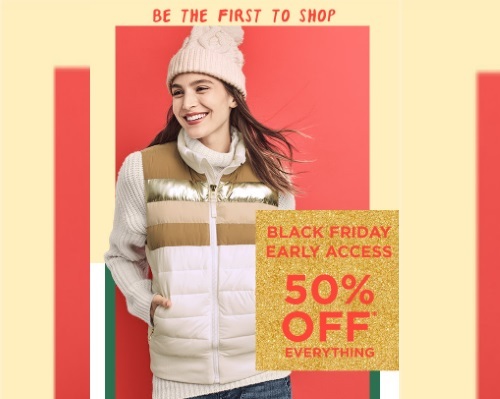 Be the first to shop Gap's Black Friday Sale during their Early Access promotion that we have below! Save 50% off everything! Enter the promo code GAPBIG50 at checkout. Offer is valid online and in-store.